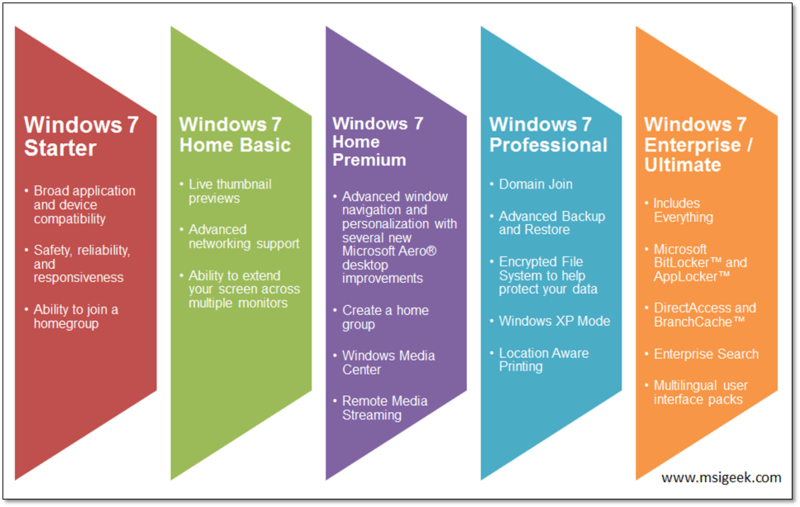 Microsoft announced Windows 7 SKU (Stock Keeping Unit) strategy and Windows 7 has got these below 6 editions. Posted in General, Microsoft and tagged Windows 7. Bookmark the permalink. How to add WinSxS assemblies into a MSI package?